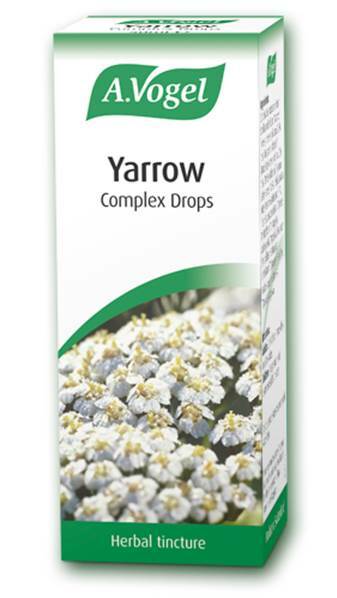 Yarrow Complex is a herbal 'digestive tonic' containing a combination of bitter and aromatic herbs. The preparation has a wide spectrum of action and may be used in many of the common gastrointestinal complaints to stimulate digestion. In the use of bitter herbs, the bitter taste is essential to its therapeutic action and bitters in tablet or capsule form are ineffective. Yarrow Complex comprises Yarrow, Dandelion, Lemon Balm, Gentian, Blessed Thistle, Angelica and Centaury. Gentian, Centaury and Blessed Thistle have the most prominent bitter action,which increases the flow of saliva and the production of digestive enzymes, which facilitate the proper breakdown of food. Dandelion is a stomach bitter and italso acts as a liver tonic, enhancing liver function and bile production. Yarrow, Lemon Balm and Angelica contain volatile oils and flavonoids. These have an antispasmodic and anti-inflammatory action on the digestive system, easing colic and reducing flatulence.